There are a dozen brands that dominate the best quality waterproof outerwear on the market today, and fewer still offer solutions for corporate apparel needs with sizes to 3XL. Zero Restriction, multi-sport apparel maker, and Pro Quip, maker of Ryder Cup jackets for 30 years are the two with the best quality that are available in larger sizes. 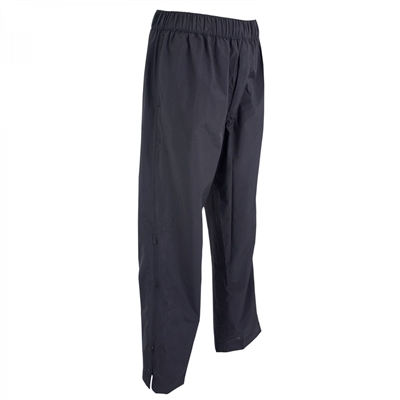 Zero Restriction is known not only for their waterproof quality, but freedom of movement for golf swing and other outdoor activities. They recently have grown more depth in their product line with layering solutions. Pro Quip, maker of Ryder Cup jackets for 30 years, has some interesting new color designs for those that like to break out of solid color jackets. About Zero Restriction Outerwear: Fairway & Greene makes exceptional quality outerwear and layered apparel for freedom of movement in the golf swing. About CEOgolfshop: CEOgolfshop specializes in volume orders for active lifestyle apparel and executive gifts and offers the full line of current season Zero Restriction and Pro Quip apparel lines. The Spring 2013 outerwear catalog with mens and women’s matching jackets is ready for download, with all items in stock for immediate shipment. The online store is not entirely updated yet, so call for the latest items. Optionally add logo embroidery to any of these items. The outerwear collection is the ultimate executive and incentive gift, designed especially for adding your embroidered company logo. Mens outerwear sizes small, medium, large, x-large, xxl, and some items 3xl. Women’s outerwear sizes x-small, small, medium, large, x-large, xxl. Click here to get the 2013 Zero Restriction outerwear catalog. Zero Restriction is a full-line maker of superior performance outerwear and sportswear for the premium golf market. Using patented design features that deliver guaranteed waterproof, wind protection with complete freedom of movement, ZR is the leading supplier of outerwear on all three major professional tours. ZR products are sold in the finest golf shops and golf specialty stores in the U.S., Canada and Europe. CEOgolfshop specializes in volume orders for active lifestyle apparel and executive gifts. While most companies carry only a few colors, we offer the entire line of each brand, so when a customer falls in love with a brand, they have the most choices. CEOgolfshop is an authorized Zero Restriction etailer specializing in corporate sales. A technical alternative to traditional fleece. 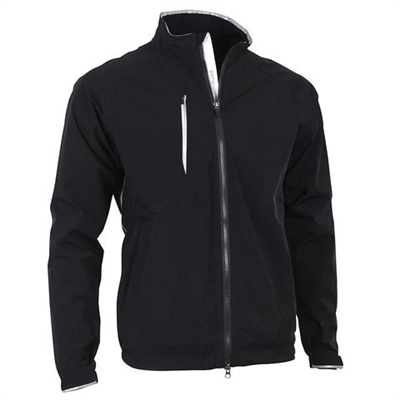 L210 men’s water repellant soft pullover has breathable stretch fabric with full freedom of swing for golf. The Airflow is lightweight, soft, and breathable in a stretch knit fabric with DWR for water repellency. Also includes a zip placket for easy on and off, as well as a stand up collar for added warmth. Visible fashion stitch. Add your company or event logo for a great executive gift. Zero Restriction air men's pullover L210 in Colors: dark sky, black, granite, sky, oj, navy and sizes to 3XL. CEOgolfshop is proud to offer the finest golf performance apparel for corprate apparel, executive gifts, and individual enjoyment. CEOgolfshop.com is privately held and sells via the internet and special events only. The company currently sells throughout North America and seven countries, either directly or through its affiliates to executives, tournament directors, marketing directors, and consumers.